3.If it's not urgent order,shipping by sea is the cheapest way while take about 1month. 2) High quality you can get as we focus on every detail part during the productive process. By express will take about 3-5 days and small quantity by China Post at least 20 days. 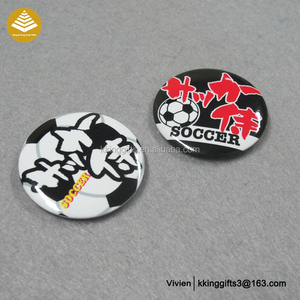 Item Cheap price good selling football club decorative name fancy badges pin badge Material tin button badge with printing paper cover printing customized colour, CMYK printing / offset printing Shape rounded ,or customized MOQ 1000pcs Size: 20mm / 25mm / 28mm /30mm / 38mm / 40mm / 44mm / 50mm /56mm / 76mm / 100mm diameter etc. Sample fee USD$50,refund after order 5000pcs Sample time 3-5days Mass time 1,000,000pcs / Month Shipping by sea from Guangzhou port or Shenzhen port by express: DHL / UPS / FedEx etc. Our factory is the VIP customer of Fedex and DHL,so we can get a competitive lower freight charge Payment T/T,western union,paypal,L/C . Q: Dose your factory accept Paypal9 A: Yes, our factory accept Paypal . Q: Dose your factory accept Trade assurance9 A: Yes, our factory accept Trade assurance . Q: Dose your factory accept small orders9 A: Yes, our factory accept small order , trial orders. But we accept lower quantity for your trial order. 2). But a little sample charge for custom designs. Sample charge is refundable when order is up to certain quantity. 3). portable, novelty, good item and eco-friendly metal craft. then a quotation will be submited to you through your email or trade manager. could offer you the most high quality products . 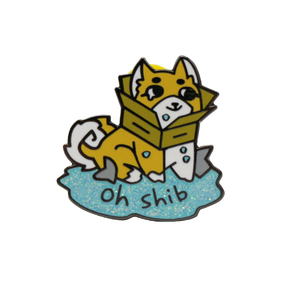 The designs on the badges could be what ever you like . we could help you printing it on each item . * i am bovine,kind, .don't worry about poor of english.^_^ * will reply your emails asap, even in evening, china time. inspected by the inspection institution of bureau veritas certification. blazer badges fashion badges for cap coat jacket jean shirt etc. we do hope, you will give us favourable response by confirming the same. Yiwu Manre Craft & Gift Co., Ltd.
* Within 18 hours quickly response. * Reliable after-sales service. * Offer a one-stop service. personalized custom acrylic blank name badge bright, you can surface, more fit. sublimation acrylic-the creative substrates for personalization acrylic photo display-bringing creativity to a new level. -products range include hard enamel, polishing enamel, die struck, die cast, pewter, screen printing, off-set printing and soft pvc. asny craft factory has successfully built a long-term relationship with world-wide clients. PRODUCT DESCRIPTION MERIT GARMENT PRODUCT DESCRIPTION 1.Material:Zinc alloy 2.Color:custom 3.Size:other size is available 4.MOQ:1000pcs 5.OEM/ODM:Customer's color and size are available. TT 30%deposit advance,70%balance before shipment. 7.Deliver:7days 8.Packing:100pcs/bag. 2. If need special packing or carding, please list them in your Email. 1. BaiCheng Sign& Craft Factory is a professional manufacturer of all kinds of gifts & crafts. Q: You are factory or trading company9 A: We are factory direct sales. 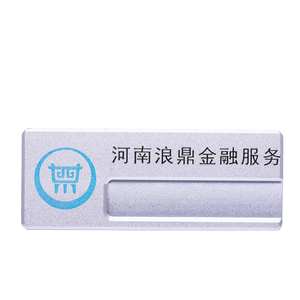 fancy remote controller rfid led blank plastic glow name badge logo printing. remote controlled or on&off regular lighting. 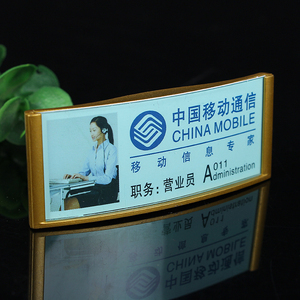 detail information item name badge material abs , aluminum, aluminum alloy, zinc alloy,etc. 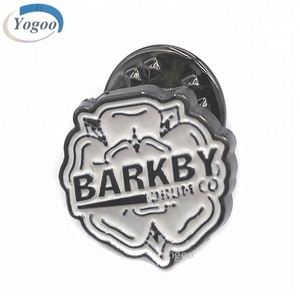 inexpensive with good quality we make custom metal badge for sale we're a professional manufacturer of pin badge, metal badge, button badge etc. Delivery Advantage The lead time must be 2-5 days quicker than industry average because of more flexible machine process control. 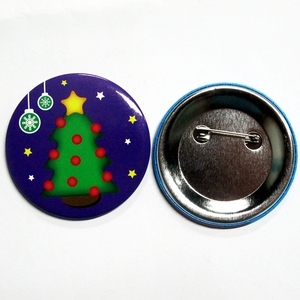 Besides Custom Fancy Magnet Name Badges Decorative , we supply comprehensive magnetic solution for you. We highly appreciate your any enquiry of Permanent Magnetic Lifter by email, fax or instant message. 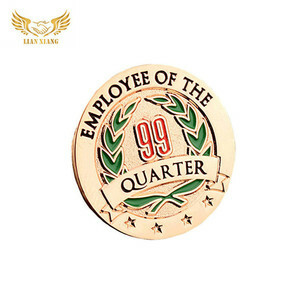 Alibaba.com offers 261 fancy name badge products. About 13% of these are badges, 11% are badge holder & accessories, and 1% are magnetic materials. A wide variety of fancy name badge options are available to you, such as 3d, magnetic, and nickel-free. You can also choose from zinc alloy, aluminum. As well as from metal, plastic. And whether fancy name badge is printed, or plating. 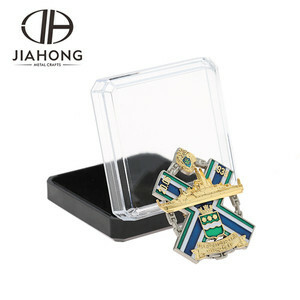 There are 181 fancy name badge suppliers, mainly located in Asia. The top supplying countries are China (Mainland), Taiwan, and Hong Kong, which supply 96%, 2%, and 1% of fancy name badge respectively. Fancy name badge products are most popular in North America, Western Europe, and Eastern Europe. You can ensure product safety by selecting from certified suppliers, including 25 with ISO9001, 15 with Other, and 10 with ISO14001 certification.